We understand the demands of roofing contractors and provide specific high levels of performance, combined with on site project management solutions to all our supply chain partners. Tig Weld is a dynamic organisation involved in providing best practices and an innovative approach to the design, project management coupled with our commitment to offering the best value aluminium and welding solutions to meet demand. We pride our company on our Health and Safety record on site for never having an accident and the continuous training of all our teams to develop and improve is a testament to the management and the running of an organisation. Tig Weld is all geared around providing the highest level of service in a professional, approachable and enthusiastic manner to all of our customers and we look forward to working with you to. 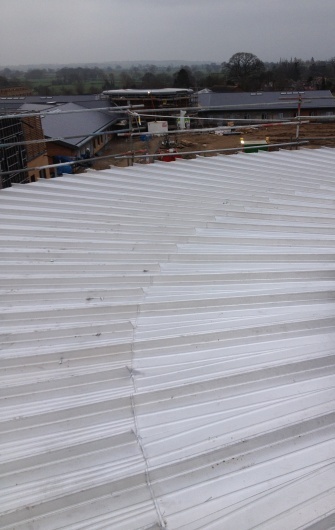 Tig Weld Ltd are specialists in Aluminium Site welding with a reputation for site health & safety and quality. Our engineers are highly skilled and maintain the highest levels of business training across leading aluminium system manufacturers within our industry. Our fully trained and experienced site-engineers operate globally, carrying out a range of services including site welding, fabrication and onsite project management.